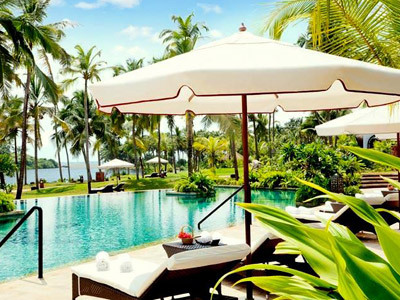 Located on the shores of Vembanad Lake, this unusual resort is a haven of relaxation and tranquility. Only accessible by boat, the "gate" to the property is via a little canal. The grounds, a former coconut plantation, are crisscrossed with canals and footbridges and dotted with white bungalows and two-storey mansions. The style is simple yet comfortable. All the rooms on this property are traditional old buildings which have been relocated here. The Pool Villas are wonderful, with both sunset and sunrise views over a lake behind the house with a little sit out balcony. They are like little homes with living room, a pool and gorgeous bedrooms. The base category rooms are also lovely, very original and uplifting. Staffs here are friendly and engaging with typical CGH Earth warmth. The main pool is stunning, overlooking the lake with little coves off it. 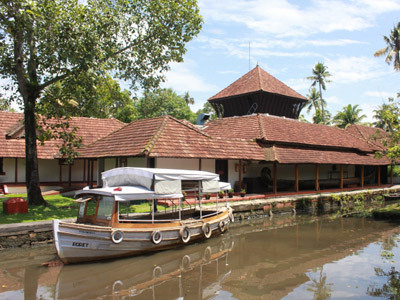 This resort is fun and atmospheric, very relaxing and gives a flavor of the Backwaters culture and architecture. 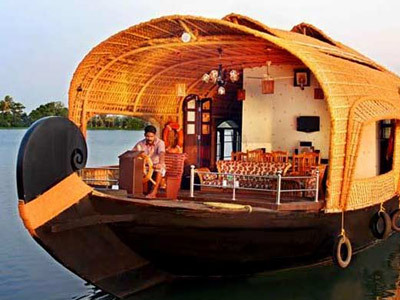 This houseboat is a traditional Keralan experience with a rather large twist; beginning with the hull of an authentic kettuvallom houseboat, they have created a modern boat which is much more comfortable and more environmentally friendly than the traditional types. An electric motor makes it considerably quieter and less polluting then a normal houseboat. The boat has one master bedroom and a sitting room which can be converted into a twin room if required. Glide through the backwaters enjoying the views from the shaded upper deck whilst your personal chef creates your next delicious meal. 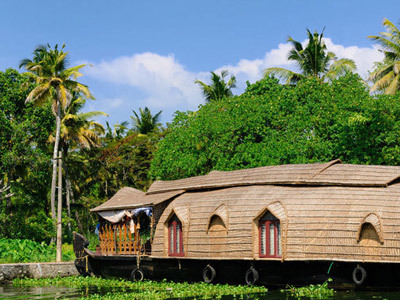 These beautifully converted Kettuvallams (rice barges) are the perfect way to explore the Backwaters. Shaded by a woven bamboo canopy and fanned by cool breezes, guests can just sit back and relax. Your crew will look after you attentively and conjure up delicious food in these lovely surroundings. It is amazing what they can do in such a small kitchen! The onboard bedroom is spacious and the bathroom although simple, has a shower and everything else you may need. 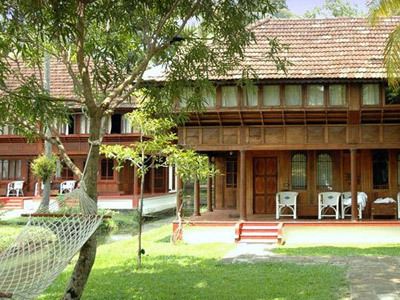 Located on the shores of Vembanad Lake, this unusual resort is a haven of relaxation and tranquillity. Only accessible by boat, the "gate" to the property is via a little canal. The grounds, a former coconut plantation, are crisscrossed with canals and footbridges and dotted with white bungalows and two-storey mansions. The style is simple yet comfortable. All the rooms on this property are traditional old buildings which have been relocated here. The Pool Villas are wonderful, with both sunset and sunrise views over a lake behind the house with a little sit out balcony. They are like little homes with living room, a pool and gorgeous bedrooms. The base category rooms are also lovely, very original and uplifting. Staff here are friendly and engaging with typical CGH Earth warmth. The main pool is stunning, overlooking the lake with little coves off it. 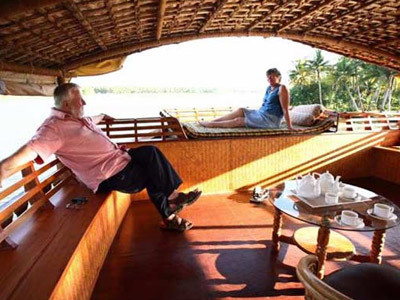 This resort is fun and atmospheric, very relaxing and gives a flavour of the Backwaters culture and architecture. Tucked away between two fishing villages on a beautiful golden beach, this 27-acre resort combines a warm, rustic feel with modern comforts. Scattered throughout the coconut grove are 62 deceptively modest thatch-roof villas which are spacious and comfortable with open-air bathrooms. The garden pool villas are excellent for those seeking privacy and tranquility. At the center of the resort, there is a large swimming pool and restaurant and by the beach, there is a smaller, specialty seafood restaurant. 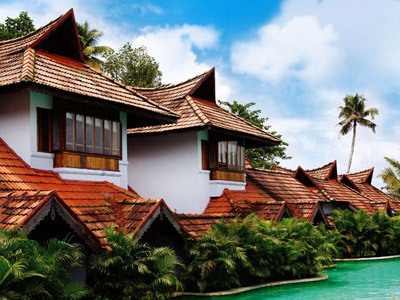 Close to the Backwaters and an hour's drive from Cochin, this well-run and friendly resort, with its vast palm-fringed beach and excellent ayurvedic center, packs a lot of Kerala into one bundle. 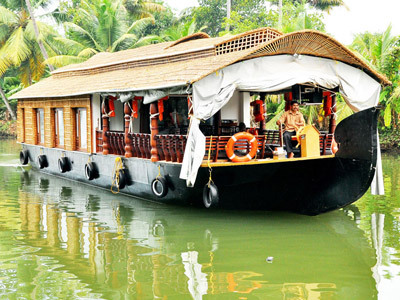 The Oberoi Vrinda is an exclusive cruiser that offers a luxurious journey through the picturesque and lush backwaters of Kerala. Each of the 8 luxury cabins has its own bathroom with shower, king-size bed and window overlooking the waterways with serene views of rice boats, village life and tropical greenery. Experience a way of life unique to this region with the vessel's expert sightseeing guides. As the cruise meanders through canals and lakes, unwind and rejuvenate in the peace and tranquility of this photographer's haven. Prepare your palette for a range of exotic international and south Indian delicacies while the chef creates a completely personalized menu. All this coupled with exceptional service from the crew makes this intimate boat trip an unforgettable experience. 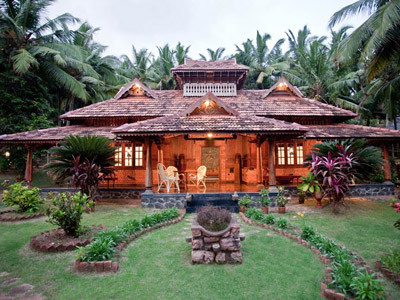 This is a beautiful heritage home, built in 1868, situated in an undeveloped area of Kerala. The 6 rooms are spacious, furnished with traditional Keralan furniture, and all have an ensuite bathroom. There is a charming private swimming pool, with plenty of areas to sit outside, relax and unwind. 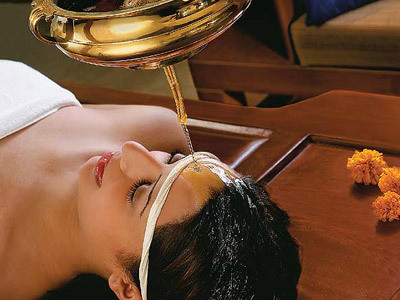 To further help in the whole relaxation process, yoga and ayurveda is on offer in the form of classes or treatments. The restaurant, the boutique hotel's own window on the world offers front and rear views over the ocean and the lively parade ground. This comfortable hotel is set on a beautiful stretch of beach an hour south of the city of Chennai and a twenty minute drive from the UNESCO World Heritage Site of Mahabalipuram. The shaded swimming pool, set in lush tropical gardens with casuarinas and palm trees, lies at the center of the resort. Our favourite bedrooms are in the spacious cottages by the beach which offer privacy and fine views. Excellent service is complemented by the fine sea-food and relaxed atmosphere of this resort. Kanchipuram, famous for its temples and silk weaving is within two hours drive for a day visit. 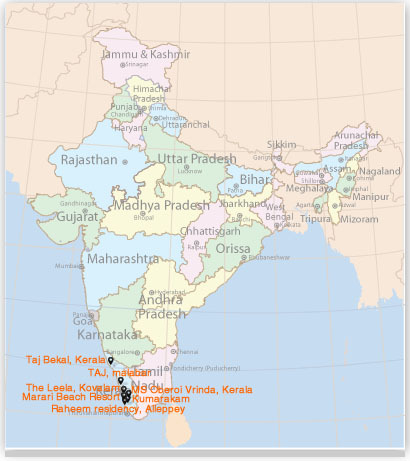 Set off on a rocky promontory overlooking two golden stretches of sand, the Leela has an enviable position. Its style combines Keralan and Balinese influences. The guest rooms face either the beach or the garden apart from those in The Club section which are all sea facing. Guests staying in The Club have an exclusive restaurant, pool, lounge and library. All residents may choose from a further five restaurants and bars. There is an excellent infinity pool and ayurvedic spa, Divya. Other activities include yoga, cycling, jogging, gym and beach volleyball. Inspired by the design of Kettivallam houseboats, and with Chitra Pothi art on the walls, Vivanta by Taj Bekal perfectly compliments its charming rural surroundings. The famous backwaters run through the grounds and the hotel's beautifully landscaped gardens meet the Kappil beach shoreline. 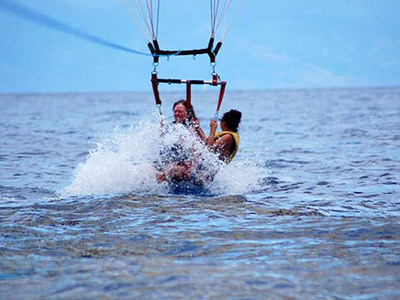 Many activities are available for your enjoyment such as boating, kayaking, rowing, fishing and trekking. This delightful hotel is situated in over 26 acres of greenery and contains over 71 rooms and 3 restaurants. 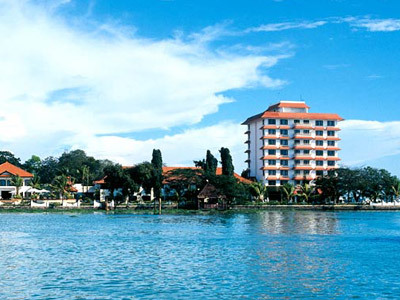 Situated on Willingdon Island with stunning views of Cochin harbour, Vivanta by Taj - Malabar is well balanced between heritage and modern day, which is effectively displayed in the opulent design throughout the hotel. The rooms deliver the ultimate urban relaxation for their guests and have either a sea or sunset view. The hotel's lively restaurants offer a superb range and selection of local and world cuisine with traditional and contemporary favourites. Guests can also relax in the Jiva Spa and indulge in the top Indian rejuvenation therapies, unwind in by the pool or revitalize in the fitness center. Our rooms have it all worked out. We know what you must have and then add to the delight! Clever surprises and the best of technology. Each room features ergonomically designed mobile work desks with special task lighting and stylish designer work chairs . So also hi-tech electronics for internet access, 32" LCD televisions, distinctive custom lighting and outstanding storage facilities. De-stress options such as surround sound home theatre systems, a special Rest Easy menu and dual massage showerheads add luxury to your stay. The styling and the décor suits both business and leisure travellers. Very modern. Very in.